Found this beautiful picture on Facebook but it took me forever to find a good source link for it though. 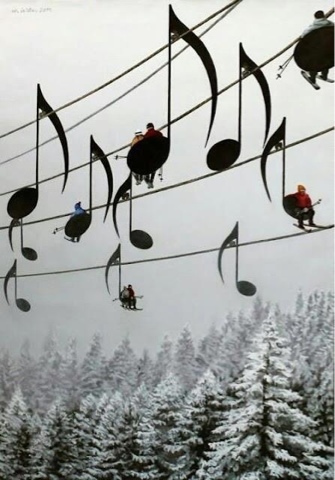 Supposedly this beautiful ski lift is located in France. I would honestly love to visit this on day and take plenty of pictures even though I'm not really interested in skiing or other such said winter sports lol. To see the source to this photo click here.